By and large I prefer to smoke VaPer blends more than any other tobacco. While I do not consider a blend of this nature to be my number one, I will never turn away a tin of VaPer tobacco. I was gifted this tin from a Sutliff employee almost a year ago when I was invited to take a Tour of the Sutliff Tobacco processing plant. For some reason I stored this tin in the rear of my cellar and forgot about it. About a week ago I decided to pop the tin and see what was hidden inside. But before I begin talking about the blend, I have an issue, and perhaps one of you can comment and clarify this for me. 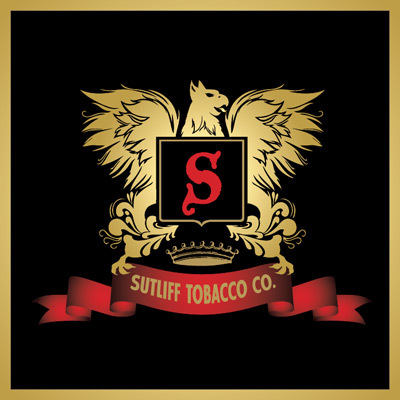 I looked up the blend on the Sutliff website and it was classified under the English tab (Sutliff 1849), and there is a note stating that it contains Latakia tobacco. I trust the people at Sutliff to classify their tobacco correctly, but to be blunt, I could not find a single shred of Latakia. Does anyone else think there is Latakia in the blend? Anyway, I don’t think this blend qualifies as english as all. It excited me to see Sutliff package a tobacco in the European style tin. I have no problem with the American style of tobacco packaging, but it is just so much easier to transport this style. As we mentioned at the forefront, Sutliff 1849 combined Red and Bright Virginias and two cuts of authentic St. James Parish Perique tobacco. This unique tobacco combination creates a real “twang”, making the tin note scrupulous and slightly intimidating. Any regular smoker of VaPer blends know that the tin note is not always representative of the flavors of the tobacco, at least not in the same way aromatic tobacco smells and tastes. If I were to nit pick I would say that the cut is inconsistent and the tobacco was a little too moist. The cut is not much of a practical problem, I just prefer consistency, and to get the best smoke, just let the tobacco dry out for 30 minutes once you open the tin. This blend is a smooth and cool smoker. Every thing you want a VaPer blend to be is represented here. The Red Virginias add needed sweetness, the Bright Virginias add the earthy, hay notes that contribute to the blends sweetness, and finally the varying Periques add the savory spice and sour. All these flavors combine and swirl is a decadent indulgence that is almost too sinful to enjoy. It may sound like I am joking, but I literally could not stop salivating when smoking this blend. The taste was just so juicy and pleasing that I craved more. And more and more I smoked. A slight negative though is I got a bit of tongue bite once or twice from this blend. But the fact that I smoked five or so bowls in a row after already smoking some that day is probably the culprit. The overall aroma of this blend wasn’t too appealing if you asked me. I recently traveled to Kentucky for some work and there is this gas station I love to smoke in. Based on the expression of those sitting around me (of smokers I should add) I imagine it did not smell as great as I thought it dead. Admittedly this pairing is going to sound crazy but trust me: original flavored Pringles. The salt from the chip dried up my palate after I enjoyed tasting this blend so much, allowing me to once again start to drool in my basque of this blend. I also believe salt is a good pair for the sweet and sour profile of the blend. It may surprise you to hear that this blend is rather tame. It is easily smoked by anyone and everyone that has a tobacco pipe. The only thing to be hesitant about is the bite; just don’t smoke it five times in an hour like I did! 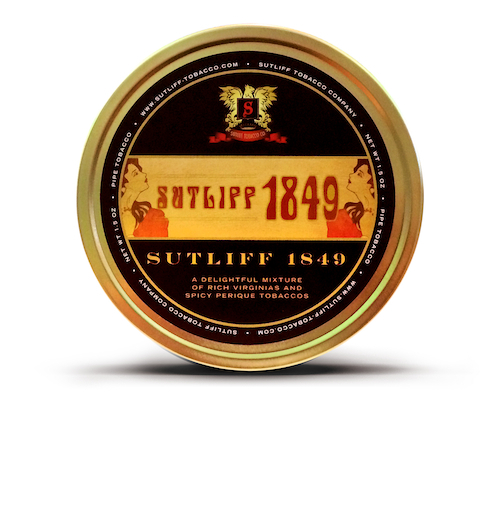 Sutliff 1849 is a mild/medium bodied tobacco. When you combine the flavor, the richness, and the easy smoking of this blend with its cheap price, this is an incredibly easy blend to buy. I also think this blend would age incredibly well, and wouldn’t actually take much to improve the taste. I give Sutliff 1849 a score of 8 out of 10. I loved this blend and I think you will too. Sounds tasty, though I’ve not tried it. Could be they are calling it an English because it’s “natural” with no casing or topping? Maybe. I am traditional and just classify an English as one with Latakia. But I know other people have different definitions as well.